THE PEOPLE, FLEET AND AGILITY TO DELIVER CONTRACTS OF ANY SIZE, SUCCESSFULLY. PYBAR specialises in mechanised underground hard rock mining. The size of our fleet and workforce position us as the third largest underground mining contractor in Australia. Our contract mining services are backed by the Group’s resources in diamond drilling, electrical design and construction, and fleet maintenance and engineering. This combined capability facilitates the delivery of a fully integrated, scalable service that can meet the demands of any underground mining project from greenfields exploration to whole-of-mine. PYBAR’s success as a mining contractor is based on safe, rapid underground infrastructure development and consistent, reliable production. Australia-wide, we have completed a number of successful mine development projects, building a track record in meeting and exceeding project targets. Whole-of-mine projects include the Tritton and Hera mines in NSW, Osborne and Starra mines in Queensland , the Ballarat mine in Victoria and Red October in Western Australia. With Group resources based in all major mining centres in Australia, we have the capability to mobilise quickly to deliver a broad range of cost effective and skilled project management services. an experienced management team with a single-minded approach to safety, smart thinking and continuous improvement. 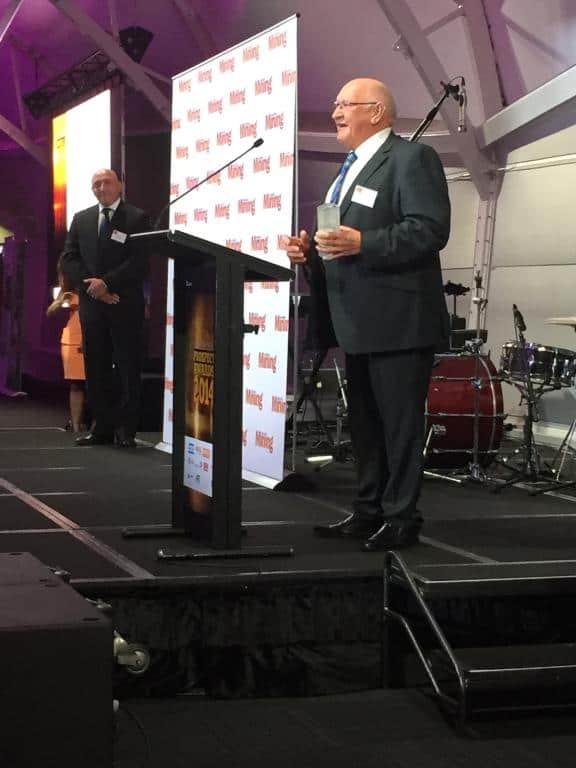 The Australian Mining Prospect Awards are considered the most esteemed and prestigious awards program for the mining and minerals processing industry in Australia. They officially recognise companies and individuals that have shown superior performance. In 2014, PYBAR was awarded Contract Miner of the Year for our mine development and safety achievements at Aurelia Metals’ Hera Gold-Copper Mine in NSW. The Banjo Business Awards recognise service excellence in the Orange region and the important contribution local business makes to the fabric, well-being and growth of the city. In 2015, PYBAR was awarded both Business of the Year and Excellence in Manufacturing, Mining, Agribusiness and Industrial Services.